Av.Madrid, 54, 22520 Fraga, Spanje. Comfortable friendly hotel in the shopping centre of Fraga. 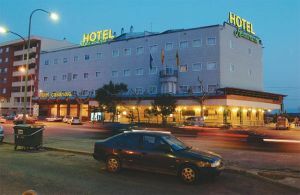 The Casanova Hotel is placed fully in the shopping centre of the city of Fraga, offering to all its guests the comfort and the break of a modern hotel industry. 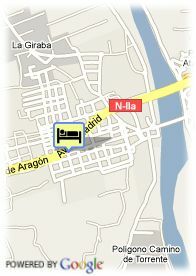 With 108 friendly and comfortable guest-rooms decorated with a classic style and earth tones. Furthermore, stand out its large and well-equipped meeting rooms which are the best place to celebrate reunions, conventions, weddings and banquettes. In the elegant restaurant of Casanova Hotel, the clients could taste the best dishes of the typical gastronomy of the region.